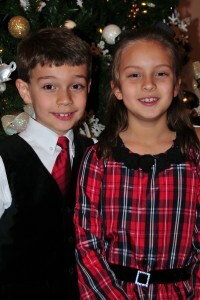 From Baptist Mom | A few words on faith, family, and fun! 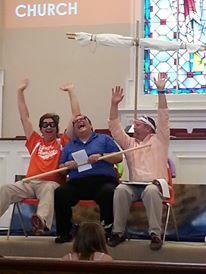 John, Curtiss, and Mark on the “roller coaster” at Hilton Terrace Baptist Church! Each year, I write a very short skit to publicize that year’s VBS theme. It’s always so much fun to set and really helps us set the mood for the theme. Feel free to use this year’s script! Enjoy! All three enter and get in line next to the “You must be this tall to ride sign” hanging on music stand. 2- Dude, they say this ride has sent more people to the chiropractor than John Cena! 3- Speaking of doctors, you know I just remembered. I have a very rare seat belt harness allergy. When that harness comes down, my whole body breaks out in hives! 3- Gee thanks. Hey guys, look over there. (Points in direction to divert C and M’s attention while he raises the sign to a level that is above their heads.) Would you look at that? Looks like we are all too short to ride this ride. Let’s just find another ride, look at that nice merry go round over there. 2- (Pulls the stand back down) ______, quit messing around. 1- Yeah we’re going to lose our place in line! 2-(the truth begins to dawn) Hey _______, are you afraid of the Colossal coaster. 3- Afraid? Me? I live for roller coasters, My middle name is danger, well actually, it’s _____ and I am a just a little afraid. I mean look at that the size of that first hill. Hey I want to go to heaven, but not today! 2- You know our VBS theme this year is Facing Fear, Trusting God. 1- Hey ______, most people are afraid of something: heights, sickness, wild animals. Our world can be a scary place. 2- Yeah our stories in VBS this year are all about Paul, Now that’s a man that who faced a lot of scary situations: shipwrecks, angry crowds, snakes..
3- Guys, you’re right. I just need to remember that God is with me no matter where I go. OK, let’s show this coaster who’s the boss! All three go for a short ride on the chair “coaster.” Then all unbuckle. As they leave. 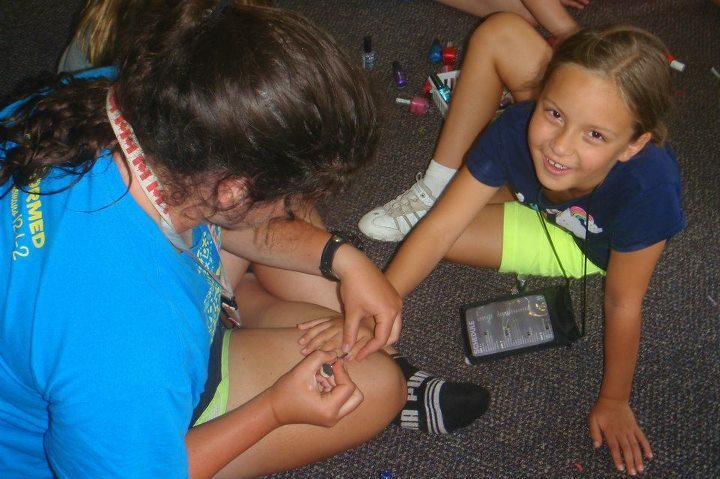 1- This year’s VBS will be a ride you’ll never forget: crafts, stories, songs and games. 2- And everyday you’ll learn more about facing fear and trusting God. I just started reading a book called Six Ways to Keep the “Little” in Your Little Girl by Dannah Gresh, and so far it has given me lots to think about in guiding Meg to walk in confidence and purity. However, clothing manufacturers do not seem to share my concern for teaching my daughter to be a modest young lady. I’m in the Girls Size 7-14 section, and I’m staring at the clothing folded on the table in front of me. I begin to eliminate things that I really don’t want to put on Meg. No skulls, nothing that will leave piles of glitter trailing behind her. Nothing skin tight, she likes to move. OK, that leaves-nothing! In the last few months I have repeated this scenario again and again as Meg has moved from size 8 to size 10 in some items. Don’t even get me started about shopping for dresses! I don’t know what nightclubs let nine year olds in, but apparently clothing manufacturers want them to have plenty to wear should they be admitted! My little girl goes to school and church, and she needs clothing that fits into those settings! I wish that clothing companies would remember that girls this age are not teenagers. Meg still loves to jump rope, play tag, and arrange her stuffed animals. These little girl activities do not lend themselves to the form fitting clothing that is being sold in the girls departments. I am constantly looking for basic dresses, jeans, and t shirts that are age appropriate and beautiful, just like my sweet girl! Christmas outfits 2012. 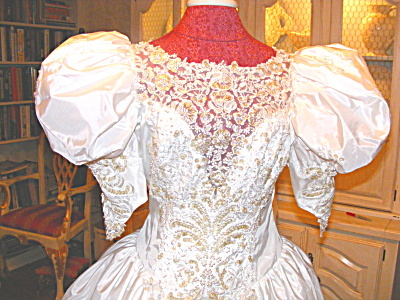 I finally found a dress for Meg that had long sleeves with a full skirt. She is very cold natured and she loves skirts with some twirl! “No, Mom, I was telling God that the worship tonight was beautiful.” Yes, it was, and so are you, sweetheart, so are you. Keep your eyes on God’s beauty, and thanks for reminding me! Why I (Still) Love to Tell the Story! The South is a land of stories, and I grew up listening to hunting, fishing, and “did you hear about” tales told by some wonderful storytellers. However, when I think about stories from my childhood, I go back to my Sunday School, Vacation Bible school, and Sunbeam (Yes, I’m that old!) days when I was told Bible stories by some truly gifted women. When Mrs, Bobbie Jean and Mrs. Polly told Bible stories, their words painted vivid pictures, and these were words were not from the Baptist Sunday School Board( that’s what Lifeway used to be called Itold you I was old). They really weren’t even reading from the Bible. Remember in those days, it was all King James which is beautiful but hard for kids to understand and attend to for a long time. So they did what all great storytellers do, they studied the text and then told those stories with words that came straight from the heart in a way that even a child could understand and remember many years later. And now, I’ve moved from the little baby bear chairs where I was the listener to the front of the room where I am the teacher. And I never tell a story from the Bible to a group of children without asking God to make me just a little like these ladies whose words brought the Bible to life for me. I love to tell the story today because grownups in my church used their time and their gifts to tell the story to me and that story still changes me today. 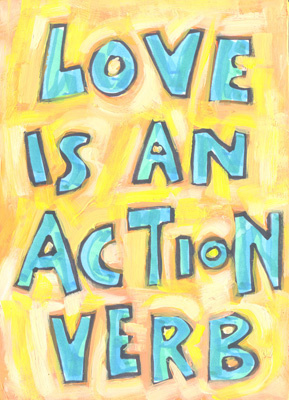 Put your love into action. There’s an old hymn I grew up singing called ” I Love Thee.” One line I’ll always remember is “I love Thee, I love Thee and that Thou dost know, But how much I love Thee my actions will show.”When I love, people listen. I’ve met lots of people who can’t be swayed by a testimony, words on a page, or preachers in a pulpit, but there are very few people who are not moved by a life that genuinely shows the Savior’s love, day in and day out. Father, Help me love in such a way that people see Your love alive, walking around Columbus, GA, teaching school, worshipping in church, playing on the playground. Make Your love true in my everyday life. Amen. 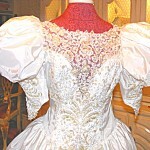 I’ve been absent from the blog a few days. I’ve kept journaling, but I haven’t been able to sit down to writeat the computer, but today I am returning. I loved studying with everyone last Tuesday and I can’t wait to see what God has for us in the rest of the sessions. Consider the incredible love that the Father has shown us in allowing us to be called “children of God”—and that is not just what we are called, but what we are. Our heredity on the Godward side is no mere figure of speech—which explains why the world will no more recognise us than it recognised Christ. 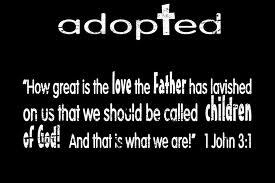 We are children of God, and its not just a name it’s who we are! We are called to act like our heavenly Father because we are his children! We can’t be who we are any more; we have to be like Christ. And the more we are like Christ, the less the world will recognize us just as they did not know Him. In this verse, John is encouraging believers who were experiencing doubts about what they had been taught, John reminds them that they already know the truth through the Spirit. Today, John preached about the Spirit leading Philip to share the gospel on a wilderness road, but the Spirit also leads us to find truth in His word. As we journey together through the Book of I John, I pray that we will ask the Spirit to lead us to what He want us to discover. Father, Fill the 400 Room at HTBC with your Spirit as we meet and seek your message for us in Your word. There it is again. John tells us why he is writing and it’s to remind us that we “have been forgiven on account of His name.” We are forgiven because of what Jesus did, not because of our actions or righteousness. In these first days of readings, John reminds us again and again of the cross and our forgiveness through His sacrifice. Meg and Jack love to hear me tell stories of their baby days, my own childhood, and how our lives were when John and I were a couple BK (Before Kids). They weren’t there, but I think it links them to these events because I was there, and I’m telling these stories from my memories and experiences. Just think of how this relates to John. He was there in the Garden of Gethsemane. He was at the foot of the cross where Jesus told him to look after Mary, and he outruns Peter on the way to the empty tomb. What an experience to read these words I write to you, dear children, because your sins have been forgiven on account of his name written from the pen of John, a man who was there in the days when all of our sins were forgiven through the name of Jesus. As I continue this study, I am reminded about the divine inspiration of scripture and how God used men like John and other biblical writers to pen words that speak to us today through the Holy Spirit.